We just completed Aluminum shutters in an ultra chic, one of a kind architect designed home in Seattle. 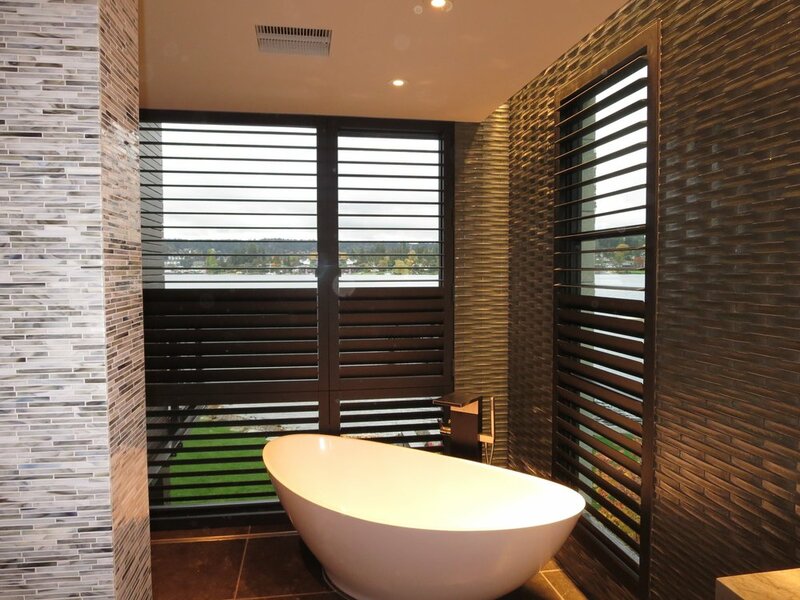 The shutters are a striking complement to the glass tiles, Puget sound views, and sleek design of this bathroom. For more information on wood or aluminum shutters, which we craft right here in our Redmond factory please call Newport Custom Shutters.